In our opinion, there is a spiritual message humankind has missed for over 2,000 years because it’s been hidden in the patriarchal agenda of dogmatic religion. 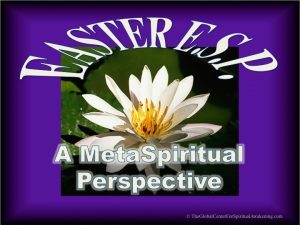 We believe there’s another, more positive and enriching MetaSpiritual perspective of the Easter experience that rings more true than the violent religious message which is based on shame, betrayal and guilt. Understanding the true message of Easter means understanding who Jesus really was; and what the Only Begotten Son, the cross, the crucifixion, the stone that sealed the tomb, the resurrection and the ascension symbolize in terms of humankind’s spiritual journey – in terms of your spiritual journey. 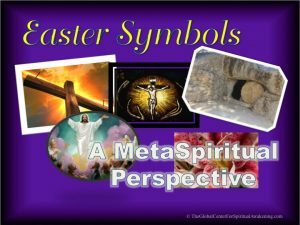 Click here to read our blog article with an in-depth MetaSpiritual Interpretation of the major Easter symbols. For far too long, Easter has been focused on WORSHIP … worship of a “Got out there” and “His only begotten Son” who died to save all of us. We invite you to consider a slight change in the word WORSHIP, which totally shifts the whole understanding of the Easter message. Just add the “TH” factor. 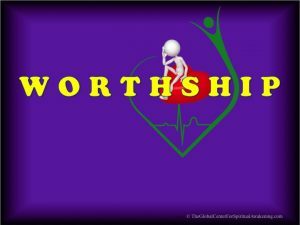 Add “TH” between the “R” and the “S” — and you have WORTHSHIP! 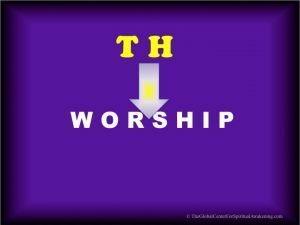 We are all worthy, and it is time to claim our worthship! For this article, we want to take it a step further, and share our perspective on what the Easter message means in 2018. We believe it is all about Selfies and ESP. We know — that sounds kind of weird! But let us explain! First, selfies! 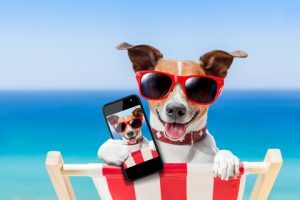 The word “selfies” was officially added to Merriam-Webster Collegiate Dictionary on May 19, 2014 — but did you know the concept can be traced back to 1839? Robert Cornelius, an American pioneer in photography, produced a daguerreotype of himself, one of the first known photographs of a person. Because the process was so slow, he was able to uncover the lens, run into the shot for a minute or more, then replace the lens cap. We’re thinking he kind of photo-bombed his own picture! And look at us now! There is even a special plastic surgery technique designed to make you look better for selfie shots! At one of our recent Spiritual Café experiences, we invited everyone to take a few minutes and take group selfies with others in the room. It was chaotic, noisy, and fun! But right about now you may be asking, what do selfies have to do with Easter and my spirituality?” Great question! The selfies we all love to take are great at capturing our “skin school” self, our social self, our ego self. But we want to introduce you to another Selfie — your Super-Self, where there is absolutely no separation between your human self and your Divine Self. The Selfie we’re talking about is your capital ‘S’ Self, the Spiritual You. The Real You. The incredibly Divine You! The you that has a Core Essence that is timeless, and transcendental, and eternal, and powerful beyond your wildest dreams. It is the you psychologists and sociologists call your True Self, your Authentic Self. Carl Jung called it your Archetypical Self. Eric Fromm called it your Original Self. Carl Rogers referred to it as the Real You. Neuroscientists call it your Deeper Self. Philosophers and spiritual leaders call it your Divine Nature, your Higher Self, your Transcendent Self. It’s the you we call your Christ Self, the Enlightened You, your Super Self. It’s your Christ Nature, your Buddha Nature, your Krishna Nature, your Allah Nature, your Great Spirit Nature. It is the Wise You, the Spectacular You, the Unparalleled You, the One-of-a-Kind You, the Remarkable You, the Awesome You. 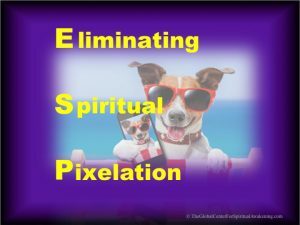 Eliminating Spiritual Pixelation: Here’s what we’re talking about! In computer graphics, photography and TV terms, pixelation is caused by displaying a bitmap or a section of a bitmap at such a large size that individual pixels are visible. Higher resolutions make the pixels invisible, but low-resolution images show the jagged and blurred edges of the images. 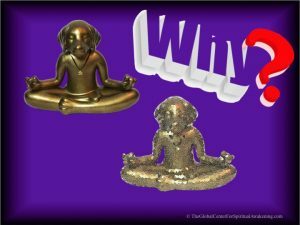 Why does this matter in terms of our spiituality? 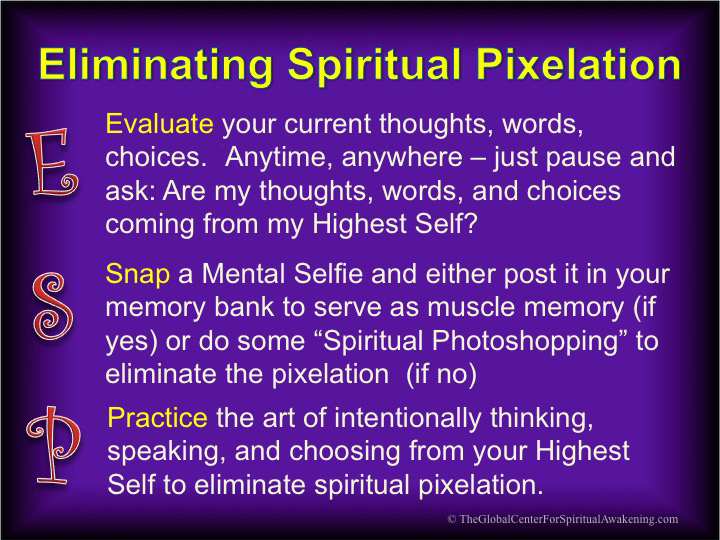 From a spiritual standpoint, pixelation is the result of our errant thoughts, choices and actions that blur the clarity of our True Self. The ‘jagged edges’ of poor choices and the ‘blurred outlook’ associated with divinity-denying thoughts pixelate our truth walk and compromise our spiritual growth. Avoiding pixelation means bringing our capital ‘S’ Selfie into clear focus by remembering who we really are: We are the human expressions of the Christ Presence embodied as us! When you build in the habit of intentional awareness of your thoughts, words, and actions, you experience a daily (sometimes hourly, even every minute) resurrection experience … as you walk the Spiritual Path on practical feet! People have asked us how the rabbit got associated with Easter. We thought you’d enjoy this little tidbit — first, an historical comment, then a little well-intended humor! 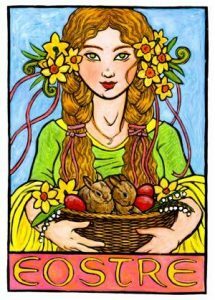 Easter was derived from the name of a Germanic goddess named Eastre or Ostara. Pagan Anglo-Saxons held feasts in Eostre’s honor until Christians replaced it with pascha, a Greek term for the resurrection. The Easter Bunny is a folkloric figure, originating among German Lutherans who depicted the rabbit in the role of a judge, evaluating whether children were good or bad at the start of the Easter season. Similar to Santa Clause, the Easter Bunny would deliver gifts to children the night before the holiday. 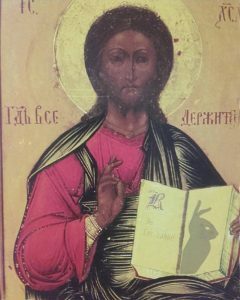 The idea that rabbits could reproduce without loss of virginity led to an association with the Virgin Mary, as well as associated with the Holy Trinity. About the eggs: Orthodox churches had a custom of abstaining from eggs during the fast of Lent. The only way to keep them from being wasted was to boil or roast them, and begin eating them when breaking the fast on Easter. They were decorated as part of the festivities of the celebration. 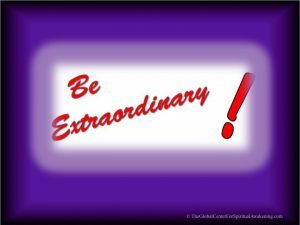 Have an incredible Easter … every day … and you Eliminate Spiritual Pixelation and walk the Spiritual path on practical feet!